DHAKA, Oct 30 2012 (IPS) - Bangladesh’s achievement in raising exclusive breastfeeding rates for infants under six months from 43 percent to 64 percent, over the last five years, is said to be the result of a determined campaign by government and non-governmental organisations (NGOs). 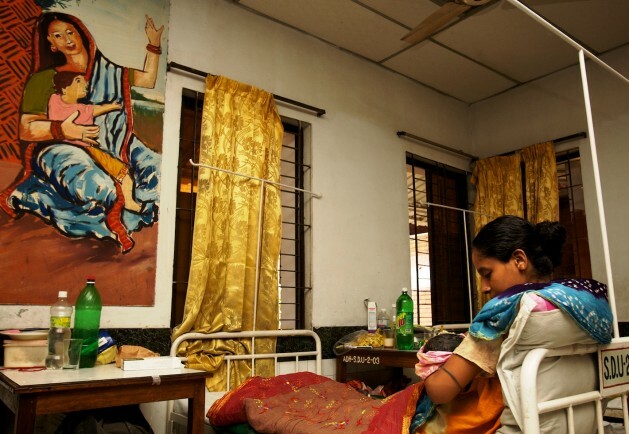 Many of the nurses employed at the hospital trained at the Bangladesh Breastfeeding Foundation (BBF) which has, since 1989, been running intensive programmes to promote exclusive breastfeeding. “Exclusive breastfeeding along with awareness building on improving the health of undernourished mothers is the best way to address child malnutrition in Bangladesh,” says BBF chairman Dr. S.K. Roy. “The challenge now is to take the breastfeeding rate to even higher levels and thereby drastically reduce child malnutrition which is a problem in Bangladesh,” Roy told IPS in an interview. An internationally acclaimed scientist working on child health, Roy said BBF’s main role was to function as a catalyst to build the capacity of the government, NGOs, the private sector and other stakeholders. Bangladesh’s achievement seems especially impressive when compared with the low exclusive breastfeeding average in South Asia for infants under six months, languishing at 39 percent. “We have a high level of commitment and support from the government, which is why we have been able to form a nationwide network for our advocacy programmes in a relatively short time,” Roy said. In 2010, Bangladesh enforced a directive for extending maternal leave to six months from the previous four for working women to allow them to exclusively breastfeed their newborn. “This is a sign of the seriousness with which the government is taking the issue as a key to achieving the United Nations millennium development goal that calls for reducing child mortality rates,” Khurshid Jahan, a senior BBF member, told IPS. “Many don’t realise that exclusive breastfeeding can address stunting and low weight problems,” Jahan said. “If every mother practices breastfeeding we would have a healthier and more productive population,” she added. Workers like Jahan credit the Baby-Friendly Hospital Initiative (BFHI) – a global programme sponsored by the World Health Organisation and the United Nations Children’s Fund (UNICEF) – that assists hospitals in giving mothers confidence and skills to initiate and continue breastfeeding. About 1,200 government hospitals and health facilities now have centres under the BFHI, while another 500 clinics run by NGOs have similar facilities where mothers are nudged towards exclusive breastfeeding. In rural areas, mother support groups (MSGs) are at work counselling new mothers and weaning them away from old wives’ myths and traditions that are not friendly to breastfeeding. When new mothers get back home from the hospital after delivery they are often surrounded by women who insist on feeding the babies prelacteals such as honey or mustard oil, ignoring the naturally protective value of colostrum. Infants exclusively breastfed are likely to be exposed less to contaminated foods and this helps reduce the incidence and severity of infectious diseases, Chowdhury said. After six months, infants should receive nutritionally adequate and safe complementary foods while continuing to be breastfed for up to two years of age or beyond. Villeneuve said there is work to be done to increase awareness regarding the benefits of exclusive breastfeeding and provide support to nursing mothers at home, community or workplace. Good effort. But the source of this ‘64% breast feeding’ is not mentioned. That is “Bangladesh Demographic Health Survey, 2011”. In short BDHS, 2011, done by NIPORT. More information in this regard will come out in the final report of BDHS, 2011, scheduled to come out in December, 2012. Shelina Afroza PhD. Director General, NIPORT.